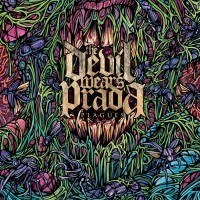 THE DEVIL WEARS PRADA is already at legacy band status at the ripe age of 22 (ave. age of the band members). Having sold over 500,000 cd's in the US alone, the band is huge. 'Plagues' is their 2nd album and considered their best. Rise decided to make 1,000 copies on colored vinyl. Eric Johnson's latest release, 'Up Close,' was a long time in the making (five and a half years). 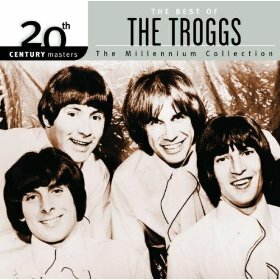 But as evidenced by its reception and its impressive list of special guests (Sonny Landreth, Steve Miller, Jimmie Vaughan and Jonny Lang), the wait was well worth it. Fortunately, fans will not have to wait long at all for a vinyl version of 'Up Close,' which is slated for release on April 19th via EMI Records and Vortexan Music. The album will be issued on 180 gram vinyl and housed in a special double LP gatefold package with printed sleeves. Additionally, Up Close was remastered specially for this vinyl release by Jim Wilson. Whitesnake's David Coverdale : "Evidently The Snake By Its Nature Has To Change Its Skin Every So Often"
Vocalist David Coverdale needs no introduction to most fans of classic hard rock. From his initial emergence back in the 70's as frontman of British heavy rock legends Deep Purple, through his seminal blues rock with Whitesnake later on in the decade, later enjoying mega platinum success with later versions of the band, through his work with Led Zeppelin's Jimmy Page in Coverdale/Page - All the way to the present, the man is rightly regarded as a vocal legend. Roger Waters has confirmed he is likely to be joined on stage by former Pink Floyd bandmate David Gilmour on his tour of The Wall – but only for one gig. Waters and Gilmour have had a fractious relationship for many years, but did play together in Pink Floyd at 2005’s Live 8 charity show. There now seems to be another chance to see them share a stage. “I hear the rumors,” Waters says. In 1924, the first gramophone to change records automatically went on sale in the US. In 1957, the Everly Brothers release "Bye Bye Love", a song that was rejected by 30 labels before Cadence Records picked it up. The song went to #2 on the US Pop chart and #1 on the Country & Western chart. In 1961, The Beatles began a three-month residency at The Top Ten Club, Hamburg, Germany, playing 92 straight nights. The group played for seven hours a night on weekdays and eight hours at weekends with a 15-minute break every hour. It was during this visit that Astrid Kirchherr cut Stuart Sutcliffe’s hair into the style destined to become known as the “Beatle haircut” which The Beatles later adopted themselves. In 1966, The Troggs recorded (using 45 minutes of spare studio time) “Wild Thing” at Pye Studios in Marble Arch, London, produced by Larry Page, with Mick Jagger present as an observer. The song went on to be a #1 U.S. and #2 U.K. hit in June. David Bowie's first solo single, "Do Anything You Say," was released in 1966. The "Woodstock" movie premiered in Hollywood in 1970. Jimmy Buffett's "Margaritaville" was released in 1976. The Who released the album "The Kids Are Alright" in 1979. In 1984, 44 year-old Marvin Gaye was shot and killed by his father after a heated family argument. Gaye had just received a Grammy for his hit, "Sexual Healing", his first Top 40 single in 5½ years. Remarkably, Gaye's father received only probation after pleading guilty to manslaughter. Charges of first-degree murder were dropped after doctors discovered Marvin Sr. had a brain tumor. In 2003, Soul singer Edwin Starr, who had hits with "War" (#1), "Agent Double-O Soul" (#21) and "Twenty-five Miles" (#6), died of a heart attack at the age of 61.